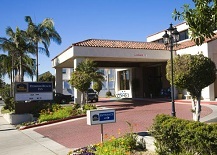 The Best Western Redondo Beach Inn is located on Pacific Coast Highway within walking distance to the Riviera Village. Guest rooms include comfortable plush mattresses, 40″ flat screen TV’s, free wired and wireless high-speed Internet access and refrigerators. Deluxe rooms also include a sofa sleeper, microwave oven and DVD player with complimentary movie rentals.